Mmm, not my fastest (all my fault! ), around 1:38, but still a good, efficient run. Great race, amazingly organized, fabulous course, osom weather. But there is just no denying that putting on 10 pounds will affect performance! Still: NO regrets! More soon!! ← I am Women’s Running Blogger on the Run – Plus: win a year subscription! FUN is the most important thing!! 1:38 isn’t chopped liver. Well done! 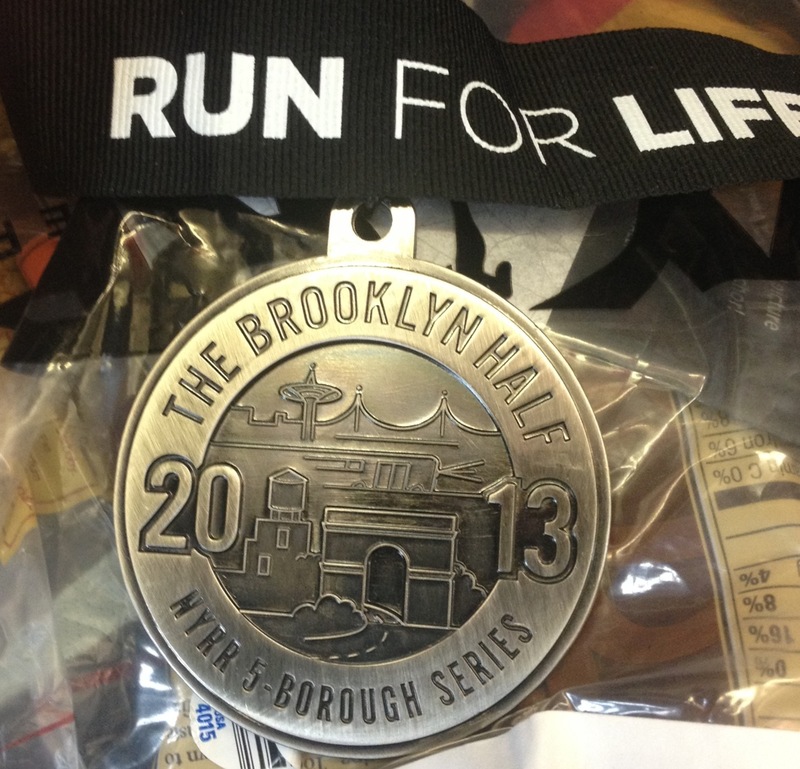 Back when I was much younger, i used to run the Brooklyn Half every year. According to NYRR records, I ran it in 1:31:31 on March 12, 1989. I’m now about two minutes a mile slower. Gerry, that is super impressive! So true! And got to run with another loopster most of the race! What, the two minutes a mile slower? 1:31 is osom!! I’d love to have that PR! Running for FUN is awesome! BTW I’d be rolling on the ground kissing the dirt for a 1:38 in a half marathon……OSOM! i know, it is pretty amazing!! thanks for the perspective.